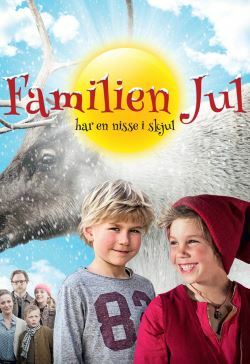 'Familien Jul' is a Danish family film, where Hugo's father hates July Neither elves, men or Christmas gifts can get him in the Christmas mood, and he is most happy when the holidays are over. Nissen Pixy is therefore quite unfortunate as he stays away from the sleigh and left alone at the family Christmas, but fortunately he soon becomes good friends with Hugo. Along with his siblings Hugo tries to save their new friend, but even if no one believes in elves, they are still difficult mighty hard to hide .